If your LG Dryer DLE0442W isn't producing enough heat, you can try some troubleshooting steps. Often, you just need to reset the Thermistor. Drying your clothes at the correct heat helps you prolong their life span, so you can wear that favorite dress or pair of slacks without worrying about shrinking, thinning or stretching the fabric. That is why it can be worrisome when the heat on your dryer is not working, often due to its thermistor. A frequent problem reported by users of the LG DLE0442W dryer is that the dryer has no heat or not enough heat. If your dryer is tumbling but producing no heat, it could be because of a blown fuse or a tripped circuit breaker. 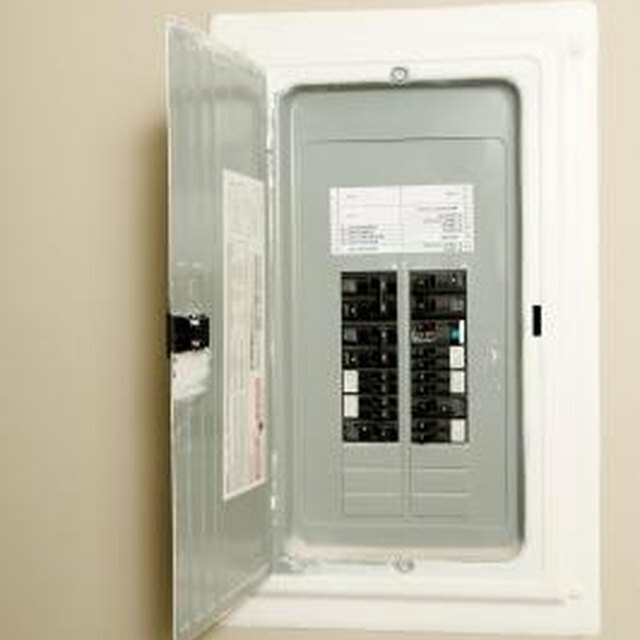 Replace the fuse or reset the circuit breaker. For a gas dryer, check to make sure that the house's gas shut-off valve and the dryer's gas shut-off valve are both completely open. You should clean your lint filter after every load. LG recommends that after one year of use, a qualified service person needs to clean the exhaust venting and check to make sure that the exhaust is clear, undamaged and unobstructed. He should also make sure the outside wall dampers are able to move freely and that they are not pushed in. Keep in mind, if the ductwork is too long or has multiple bends, blockages can occur more easily. If the dryer is showing an error code, check its meaning on the LG website. For example, if your machine is showing the HS/H5 error code, there may be an issue with the humidity sensors on the inside of the dryer below the lint filter. Clean this sensor and let it dry completely before continuing. If you see the tE1 or tE3 error code, there may be an issue with the dryer’s thermistor. You can reset the machine by unplugging the dryer or tripping the dryer’s circuit breaker. While the dryer is without power, hold the Start/Pause button for five seconds to reset. Then, restore power to the appliance and check to see if the code has persisted. If it has, LG recommends a repair service. If you see the tE2 error code, the thermistor is malfunctioning. It is usually because of a combination of cold temperature and the dryer’s SteamFresh, SteamSanitary and Steam cycles. To fix this, turn the dryer on, select the SteamFresh cycle, and hold the More Time button until the word “big” appears on the display. Then, press the Start button. If the machine is not showing an error code or other troubleshooting attempts showed no results, you can perform a heat test on your dryer. Remove all clothes and racks from the drum and wait for the machine to cool before starting. Turn the unit off and then hold the Temp and Signal buttons at the same time. You can also hold the Damp Dry button instead of the Signal button. While holding these buttons, press the Power button. The code ln5 should appear. Press the Start/Pause button to start the three-minute test. Watch the Flow Sense indicator which may light up and keep an eye out for any error codes that appear on the display. When the test is over, open the door and check to see if the drum feels warm or cool. The Flow Sense indicator shows how clogged the dryer’s exhaust duct is. It might be empty or up to four-bars full. The error codes d75, d80, d90 and d95 correspond to the percentage of the duct that is blocked. Error codes nP or P5 indicate an electrical problem that might need an electrician. Check to make sure that the dryer is plugged into a 240V grounded outlet. If there is no error code, the drum is cold and other troubleshooting steps do not work, contact a repair person. Use the Custom Programming feature if you are repeatedly resetting the dryer to several different options. After you choose a drying cycle, temperature and/or level, press the "Custom Program" button to save the setting. Press the "Custom Program" and "Start/Pause" buttons to recall a saved setting. Press the "Start/Pause" button to stop the dryer if it is currently in the middle of a cycle. Contact LG Customer support by phone at 800-793-8896. Be sure to read the full clothing care label, front and back, for washing and drying warnings.